Welcome to The Power of Oneness! We believe that we are all ONE human family, connected through the power of unconditional love, and that you have infinite potential to consciously create the quality of life you choose. 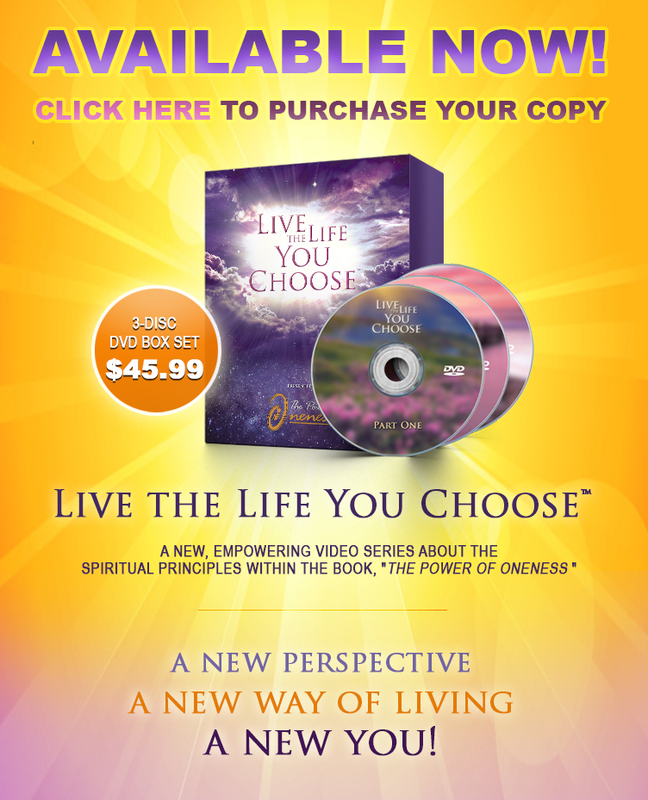 All of our self-empowering messages, products, and services are inspired by the spiritual principals within the book that I wrote, The Power of Oneness, Live The Life You Choose ™. In alignment with our spiritual mission, we contribute a portion of our net profits to the Circle of Light Foundation, Inc., a charitable organization that we have formed to support the integration of traditional medicine with holistic healing. Thank you for joining with us in bringing the energy of unconditional love into your personal life and to the world at large through The Power of Oneness! Greeting the New Year With Hope! Begin to Live the Life You Choose™. first chapter of The Power of Oneness FREE!